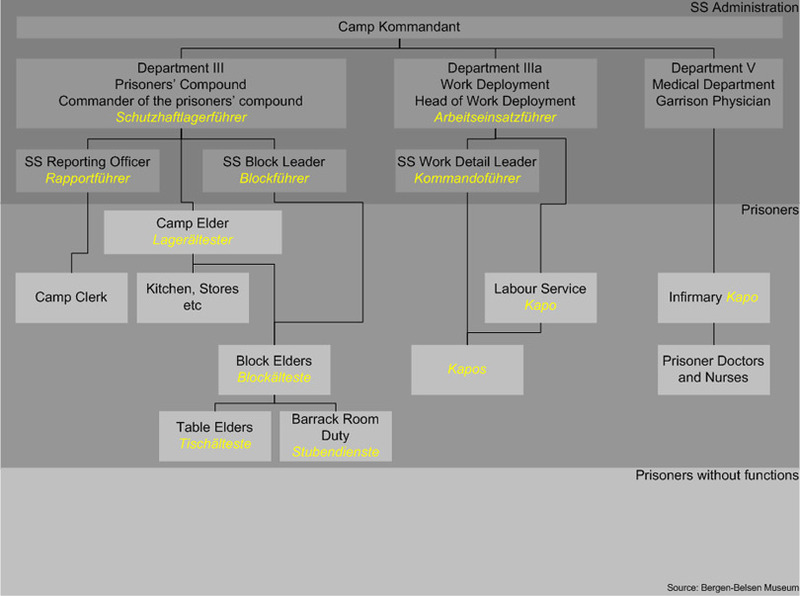 This section deals with some of the 372 individuals that I have identified as those responsible for the day to day operation of Stalag XIC (311) and KZ Bergen-Belsen and includes Wehrmacht, SS administrative and guard personnel, prisoners in authoritative positions, Kapo's and Civilians. 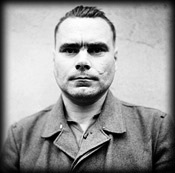 I have included the official transcript of the shorthand notes of The trial of Josef Kramer and Forty Four others as well as the edited version that appears as War Crimes Volume 2, The Belsen Trial and also the Erich Zoddel Trial. A total of 86 staff members, including 28 SS women guards were present at the liberation. By 17 June 1945, 20 of those who took part in the forced burials contracted typhus due to unprotected handling of bodies, and later became ill and in some cases died. Please note: The naming of an individual within this list does not imply guilt.